A sign on the roof of Midlothian Apothecary. The restaurant inside the pharmacy acts much like advertising, says pharmacist Janet Darby. Photo by Nicole Carter. Midlothian Apothecary is an independent pharmacy in Chesterfield County, just outside Richmond, that has survived under the same management since 1990. Auxiliary Label’s Nicole Carter met with Janet Darby, a VCU School of Pharmacy alumna, to talk about the business of independent pharmacy today. Auxiliary Label: What is your biggest revenue source? Darby: It’s not drugs any more. With generics, I almost have to give them away for free. Brand-name drugs are still profitable. We do vaccinations and they pay well on those. Also, home health-care products such as durable medical equipment, but we don’t bill Medicare for that. Medicare has a designated location for patients to buy DME [durable medical equipment] but a lot of people don’t want to go through the hassle so we just sell it straight to the customer. What do you think has the biggest growth potential out of all the services you offer? We’re starting to do point-of-care testing for flu, strep throat, cholesterol and blood glucose. We can charge for that. The problem is, though, in Virginia I can’t write a prescription if I find out somebody is positive for flu. … We are setting up a collaborative practice agreement so that after I get the test result, I can call the doctor and then get the prescription. How do you bill for the point-of-care testing? It’s out of pocket. In Virginia we can’t bill insurance unless we are the one who writes the prescription. Last year, with the big flu epidemic, no doctor could see anyone [because they were too busy] — people were having the flu and couldn’t get any medications. The doctors are looking for help too because they can’t see everybody. 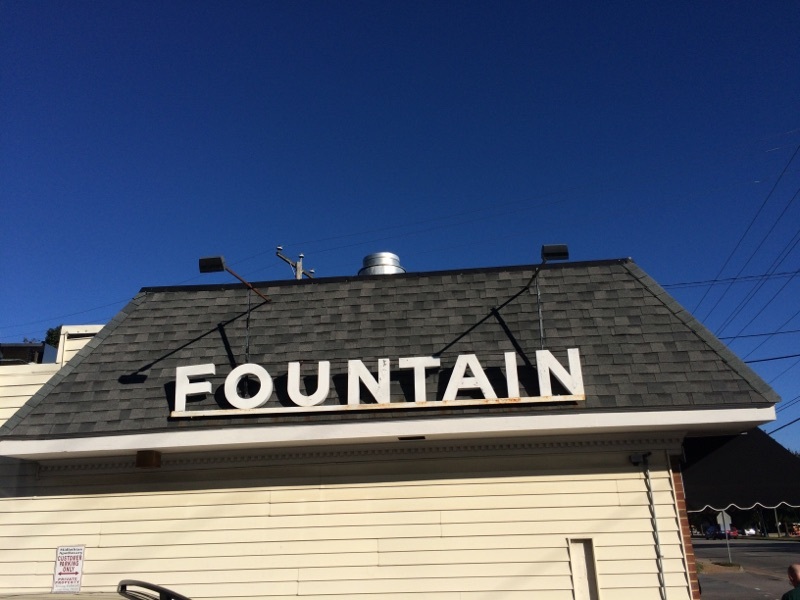 How is having the fountain in the pharmacy an asset to the business? It’s always busy. It’s kind of like paying for advertising: A lot of people come in here [for the fountain] not knowing about the pharmacy, and some people come in not knowing about the fountain. So it brings in people and kind of keeps things hopping all the time. You can’t say it’s a moneymaker because you have to sell a lot of food to make money. But we see the money that goes toward the fountain as money we would have otherwise spent on advertising. What is the biggest threat to independent pharmacy? PBMs, the processors for insurance companies, right now they are ruining pharmacy. They mandate how much we get paid. And the insurance company pays them one thing and then they pay us something else. Now for generics they are using the average for the year. So if they think they paid us too much for the first six months of the year then they take money back. But they don’t give us a reason. It’s really crooked. Competition isn’t a threat because I offer something entirely different. We provide individualized care that other pharmacies just don’t. What is the biggest opportunity for independent pharmacy? There is a niche. You got to want to do customer service. You’ve got to want to do a lot more than just fill a prescription. And you’ve got to answer question upon question. There are people out there that want that individual service. What advice do you have for pharmacy students? You’ve got to want to work. And you’ve got to want to work hard. If you can’t multitask you can’t be a pharmacist. And you’ve got to want to work long hours. It’s a great profession if you like people. You’ve just got to know what niche you want and what you want to do. Katie Jones, a second-year pharmacy student, prepares to take a fair attendee’s blood glucose. I arrived for my afternoon shift at the Charles City County Fair around 1 p.m. With the forecast of rain later on in the day, I hadn’t expected many people to attend. But the large parking lot was full. As I was getting out of my car, a mother pushing a stroller waved at me. She was walking away from a row of tents toward their own car parked just spaces from mine. I had driven to Charles City County, about 40 miles from Richmond, to participate in a health booth. The prevalence of health disparity in the access and availability of care is a rapidly growing problem. Urban centers such as Richmond boast a nationally renowned medical center, yet pockets of disparity can be found across the city. Into the surrounding counties and municipalities, health access further diminishes. Rural areas like Charles City County have some of the highest rates of rural poverty and lack of available healthcare. Through partnerships and opportunities such as the Charles City County Fair, VCU, through its educators and student volunteerism, is addressing this vast community need. As I walked to the fair, I saw a row of tents pitched on the practice field, filled with food and homemade jewelry, soaps, and other sundries. Under a large white tent, families sat entertained by a performer juggling on top of a unicycle. Nearby was another tent selling boxes of Krispy Kreme donuts and raffles to be drawn at end of the day. The VCU booth at the Charles City County Fair is a long tradition and work of dedication anchored by Patricia Slattum, Pharm.D., herself a Charles City County resident. The health outreach and preventative services are great resources for a smaller county with limited health-awareness opportunities for its residents. 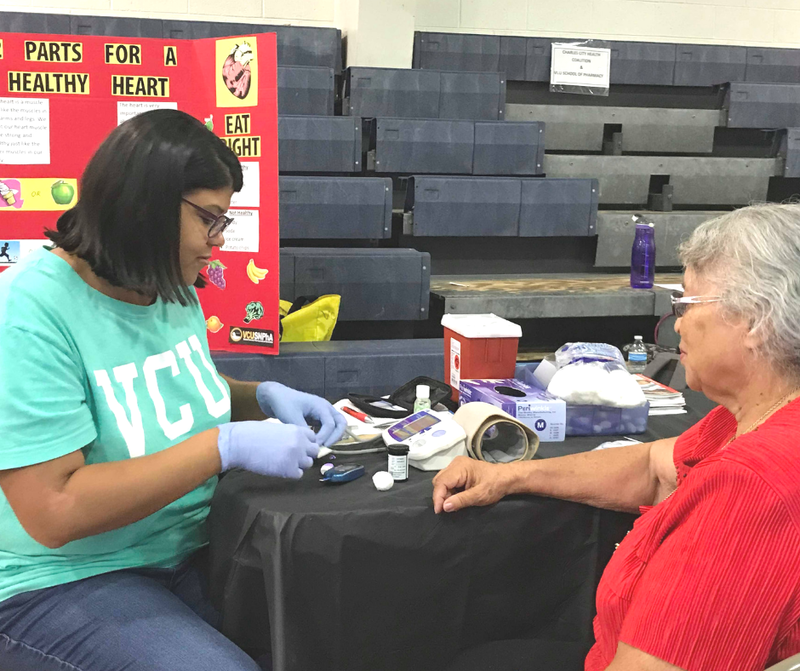 The fair-goers proved the perfect target population for the group organizing the event, the VCU chapter of the Student National Pharmaceutical Association (SNPhA). Its motto for serving the underserved is well lived in the variety of events at which its students volunteer. From rural fairs like the Charles City County Fair to back-to-school immunization events with Crossover Clinic in downtown Richmond to advocating for safe HIV testing at the annual VA PrideFest on Richmond’s Brown’s Island, SNPhA engages its student members to be invested in its greater Richmond community. Jiro Morales, a second-year pharmacy student, checks a patient’s blood pressure using a mechanical cuff. 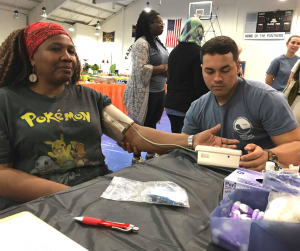 Partnering with Slattum, SNPhA is able to provide blood-pressure readings and blood-glucose checks for fair attendees. Alongside these point-of-care services, we had another full table littered with a library of education pamphlets available for anyone to pick up. While I was at the health booth we had a variety of people visit our tables. Some, like an older lady, chose not to get a reading but chatted with several of our volunteers about her recent hospital stay. She even had a small photo album with her pictures of the during the stay. Others, like a tribal dancer from the local Chickahominy tribe, asked for everything we could provide. All were open to casual conversations about their lives, their health and were open ears to the information we provided. As a student, volunteer experiences like these form a fundamental aspect of the overall education VCU School of Pharmacy offers. Being able to take traditional lecture learning into a more clinical setting multiplies student learning. In first year we learn how to take vitals such as blood pressure. In our second year we are trained on how to read glucose meters. All for just this situation — providing front-line care to our neighbors. Late in the afternoon, a father and son stopped by the tables. The father had wanted to get his blood pressure checked and the son, a high school student, sat down with him. After some cajoling from his father, the son let one of our student volunteers take his blood pressure. The father’s reading was elevated, which after talking with him we were expecting. However, the son’s was slightly above the normal range for his age. This was a wonderful teaching moment for the VCU student to reinforce what she learned in her cardiology module and suggest some lifestyle choices for the pair. After handing them some informational pamphlets on hypertension, it was endearing to hear them bicker about exercise; the dad telling his son they were going running in the morning from now on and the son rebutting with how he gets enough exercise with the football team. Near the end of the day, after having seeing and helping several dozen people, I took the time to do one last run outside to indulge in a warm plateful of funnel cake. The line was long and the wind had picked up significantly while I was inside the gym. But it wasn’t a fair until I enjoyed the fried dough and powdered sugar. And in between bites, while putting away our excess brochures and other supplies, I smiled and waved back at a lady we had helped earlier in the afternoon. Hilton Bennett is a young man to admire. While studying at VCU, he has been a husband and a father of three. 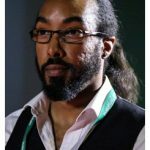 Now 38, he is pursuing a master’s in product innovation. VCU has filed for four patents in the past year for technology on which he has been the primary mechanical engineer. One of these patents is for a device that can digitally tell an anesthesiologist the pressure difference in the spinal column. This allows for more precise epidurals with fewer side effects. An avid rock climber, as a freshman in the VCU Engineering program Bennett wanted a safe way to practice traditional climbing indoors. He started building a device to solve his problem. Two years ago, Bennett started Native Heights Climbing Solutions, a company with the goal of simulating traditional rock climbing for indoor climbing gyms. VCU’s Cary Street Gym will be his first client; he says it will be the first indoor climbing gym in the world to have a device that allows practicing and training for traditional climbing indoors. I had the opportunity to chat with Bennett over pizza after he spoke at the Entrepreneurship in Healthcare Series at VCU School of Pharmacy, coordinated by faculty member Dayanjan Wijesinghe, Ph.D.
Auxiliary Label: What do you think is unique or challenging about innovating in the healthcare industry? Hilton Bennett: [Laughs] Challenging first: It’s the time. The time commitment is longer for medical devices. If you only consider the FDA process, minimum it’s going to be two to five years, averages can be longer depending on what class the device falls in, what it’s being used for, and who’s going to use it. It’s kind of daunting to think about. There’s an argument that technology is growing at a speed that we can’t keep up with. We could design a device but then the technology advances beyond it before it even comes to market. I assume it takes a lot of money to run trials. Do you raise money or partner with a bigger institution? For our epidural device, we partnered with VCU Health’s Anesthesiology Department, as the problem for ideation originated from their ranks. Three former anesthesiology residents, now all anesthesiologists, and current instructor Michael Kammerman taught us the epidural procedure and we practiced the procedure with the regular epidural needle and syringe. Once we had a prototype, we were able to use their simulation models for testing. It was an invaluable resource to test in their lab. I mean, normally, to get to that level of testing, you’d have to spend several thousand dollars. For us, it was free, and I think the experience is what we really hope for as engineering students. What have you done when you’ve been faced with an obstacle? After I get feedback … I decide if it’s meant to be overcome. Then it’s time to make the next iteration to the design. I usually take time throughout the week to focus on higher priority projects and just everything else. Then I’ll start back — not to square one, but to a specific point, and think back though how it’s designed and how someone would use it. We’ll make very small changes. We look at the shape and the size, how it fits in your hand, the screw placement, and how the electronics fit inside. Most obstacles were; in my opinion, meant to be overcome, but also to create a check and balance in what shouldn’t be an easy process. Know that it will take time. Every device is not going to work, and failure shouldn’t stop you; it should encourage you to continue working. And make sure that you’re passionate about it in a way that drives you to work at it in your spare time, but not in a way that prevents you from being open to changes or to scrapping everything and starting over. 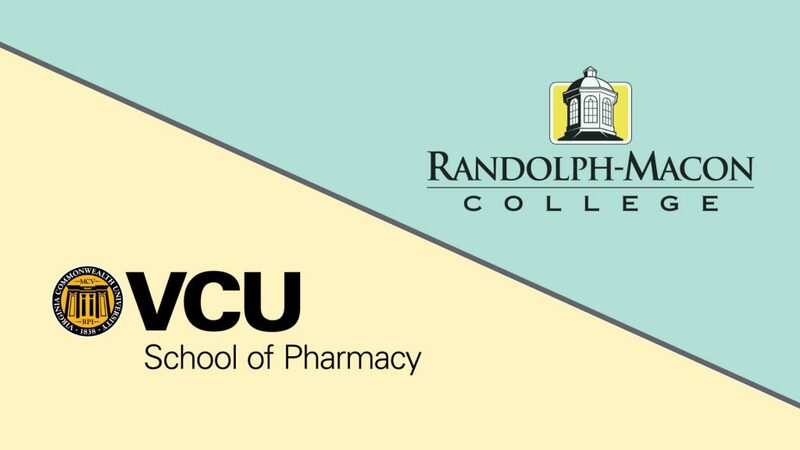 VCU and Randolph-Macon College have signed an agreement to automatically grant admission into VCU’s Pharm.D. program to eligible Randolph-Macon students. Randolph-Macon sophomores who meet VCU’s requirement for health-care shadowing and who successfully complete an on-site interview will be given provisional acceptance into the doctor of pharmacy program under the articulation agreement. If they maintain their grades and score well on the PCAT pharmacy entrance exam they will be automatically accepted into VCU’s pharmacy school upon completing their undergraduate programs. Students who do not qualify for provisional or guaranteed acceptance can apply through the standard application process. VCU is a major urban research institution in Richmond. Randolph-Macon is a private liberal-arts college with more than 1,400 students in the town of Ashland, about 20 miles from Richmond. For more information, see the School of Pharmacy’s Pharm.D. admissions page. Contact VCU School of Pharmacy Director of Communications Greg Weatherford at goweatherfor@vcu.edu. Opioids are a class of highly addictive pain-relieving drugs derived from the opium in poppy plants. These drugs are at the center of today’s opioid-overdose crisis, in which at least 115 people per day in the United States die after opioid overdoses. If you have ever had your wisdom teeth removed, you might be familiar with opioid drugs that are not available over the counter but are prescribed by your doctor or dentist: Percocet (oxycodone/acetaminophen), Vicodin (hydrocodone/acetaminophen) or Tylenol No. 3 (codeine with acetaminophen). The widespread availability of these and similar drugs have caused many people to become addicted to opioids. At least 33,000 people in this country died in 2015 alone from overdosing on opioids. Overall, misuse of opioid drugs has cost the United States $78.5 billion per year, including the costs of healthcare, lost productivity, addiction treatment and legal system involvement. 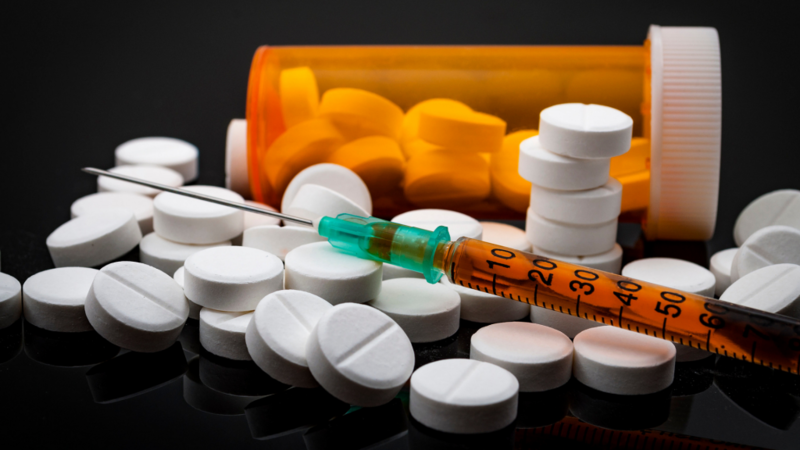 However, the major FDA-approved treatments for opioid abuse and addiction — methadone (Dolophine, Methadose), buprenorphine (Belbuca, Buprenex), naloxone (Narcan) and naltrexone (Vivitrol) — are not fully effective in treating opioid abuse and addiction. They have many of the side effects that the opioids themselves have, such as mood disorders. For several years, Yan Zhang, Ph.D., and his laboratory in VCU School of Pharmacy’s Medicinal Chemistry Department have been working on modifying the chemical structures of drugs used to treat opioid abuse and addiction. In doing so, they hope to reduce the opioids’ addictive potential and their other harmful side effects such as sedation, decreased ability to breathe and constipation. To do this, they use organic chemistry to synthesize these potential new drugs and then use biochemical techniques to examine how these drugs interact with different, specific proteins in cells. To understand how Zhang and his team are working to build better, safer opioids, we need to take a step back and talk about proteins. Proteins are large molecules that are responsible for many survival functions in the human body. 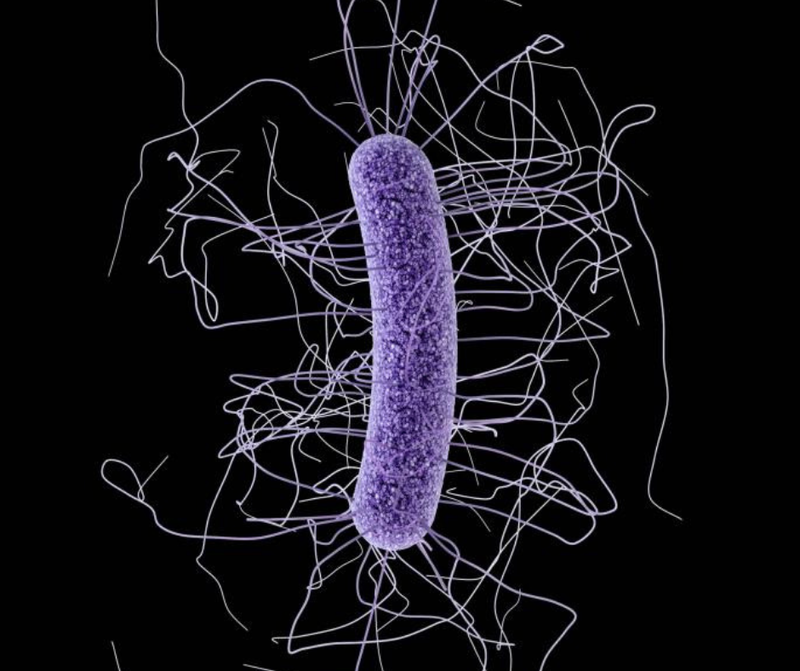 For example, they protect the body against viruses and bacteria, speed up chemical reactions within cells, and provide structure and support for cells. An important function that proteins play, particularly in terms of many drugs and their actions, is to relay biological messages throughout the body. In essence, the way most drugs work is by binding to these receptor proteins (proteins that “receive” these drugs), which causes these proteins to send biochemical or electrical signals throughout the cells in the body. These signals in turn tell the body to reduce inflammation, relieve a headache or even decrease heart rate, for example. G protein-coupled receptors are a superfamily of these receptors; opioids bind to a specific group within this superfamily of receptors, called opioid receptors. The three major types of opioid receptors are named for the Greek letters mu, kappa and delta. For simplicity, these opioid receptors often are abbreviated MOR, KOR and DOR. 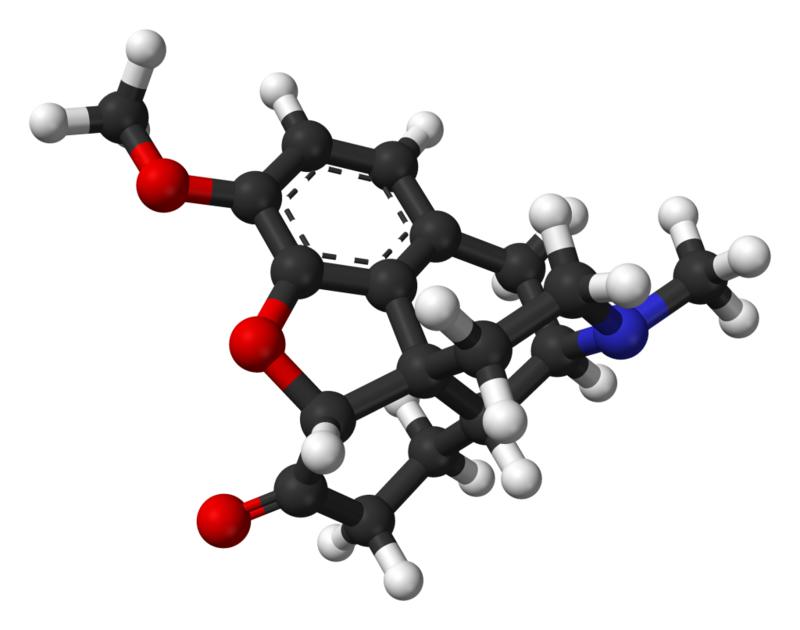 The mu opioid receptor, or MOR, is primarily responsible for relaying signals causing pain relief. The KOR is primarily responsible for relaying signals causing depression and anxiety. The DOR is primarily responsible for relaying signals causing mood-related disorders. Notably, several studies have shown that the MOR is responsible for relaying other signals, particularly the addictive potential and other harmful side effects of opioids mentioned previously. These effects on mood are due to opioids’ interactions with the KOR and/or the DOR rather than just the MOR. 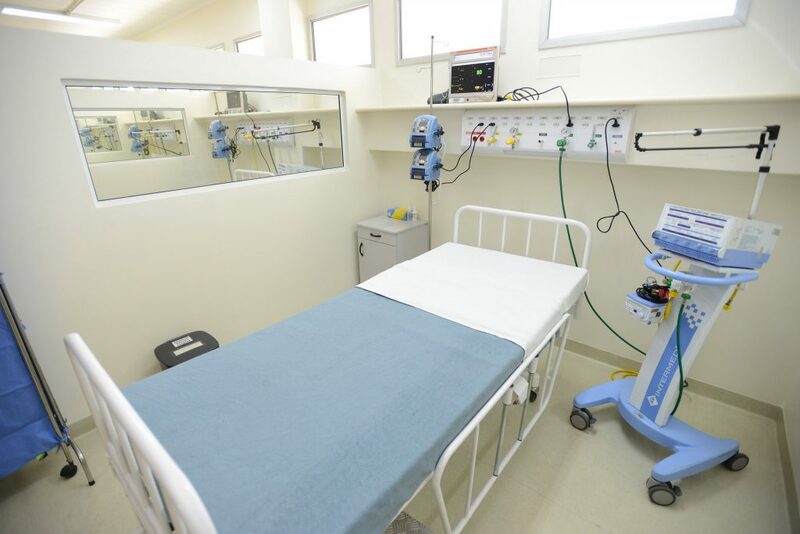 Hence, selectively blocking only the MOR should be able to block the signals for addiction, sedation, constipation and the other side effects without relaying the signals for mood disorders caused by interacting with the KOR and/or the DOR. This could mean new treatments for opioid addiction could be developed that avoid these unpleasant side effects. With this hypothesis in mind, Zhang’s laboratory group is working on producing new chemical compounds that selectively target the MOR without targeting the KOR and the DOR. After synthesizing these potential, new drugs, the group uses a series of biochemical tests to examine these drugs’ abilities to bind to and to relay biological messages through the MOR, the KOR and the DOR. Through their hard work, we might one day have a drug to more effectively help those in need during this opioid-overdose crisis. Future pharmacists are learning how to better manage issues around opioid addiction and overdose. With thousands of Virginians affected by the opioid crisis, the VCU School of Pharmacy has added to its curriculum material about how pharmacists can respond. An article about these curriculum changes has been accepted by the American Journal of Pharmaceutical Education. The article, “Preparing pharmacy students to manage the opioid crisis,” also discusses the background of opioid prescriptions and pain management, and the rise of opioid misuse to an epidemic in the United States. Opioid overdoses have killed more Virginians each year than car crashes or guns, with more than 4,000 deaths between 2012 and 2017, according to the Virginia Department of Health. That has made overdoses the No. 1 cause of unnatural death in the state. In 2016, Virginia’s health commissioner declared opioid addiction a public-health emergency. The commissioner issued a standing order authorizing pharmacists via a statewide standing order to dispense naloxone to any person requesting the drug. To prepare pharmacy students for this responsibility, a number of activities were added to the pharmacy curriculum. 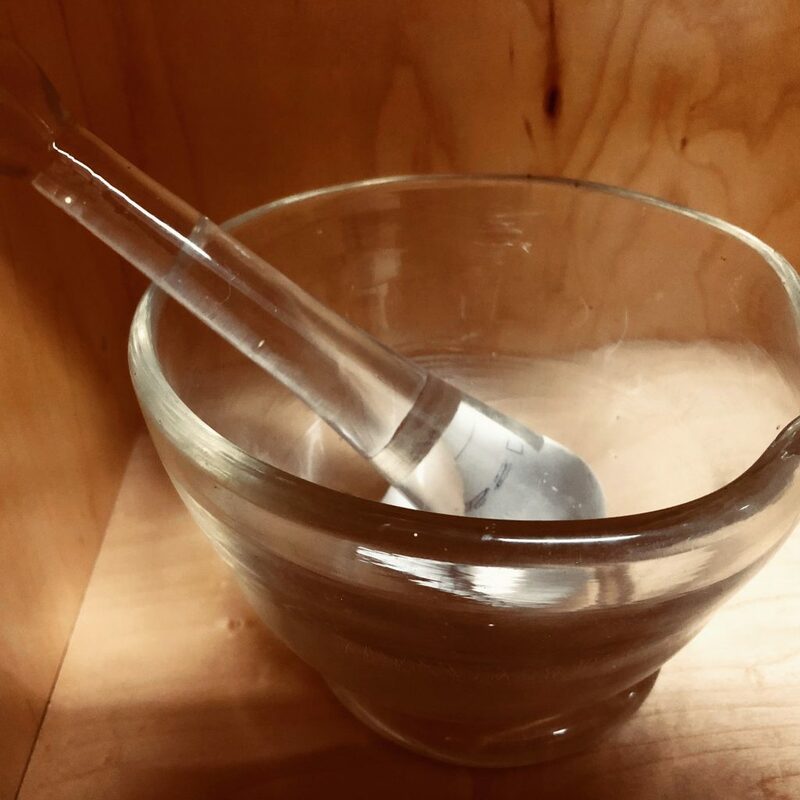 In the fall 2017 semester the VCU School of Pharmacy offered a new laboratory activity in opioid-overdose management to its third-year pharmacy students. With the statewide reach of the problem there has been “a new change in culture and awareness about opioid overdoses,” said Krista Donohoe, Pharm.D., an associate professor in the Department of Pharmacotherapy and Outcomes Science at the VCU School of Pharmacy. The laboratory course taught 130 VCU pharmacy students what to do in the event of a patient overdose, along with a discussion of the Prescription Drug Monitoring Program, and how to do opioid calculations. The instructors — Donohoe and fellow VCU School of Pharmacy Pharmacotherapy and Outcomes Science faculty members Laura Morgan, Pharm.D., and Kacie Powers, Pharm.D. — wanted to prepare the pharmacy students to counsel patients and their families on opioid overdoses using naloxone. Pharmacists can play a critical role in combating the opioid crisis. They have regular contact with patients and track their prescriptions through a database called the Prescription Drug Monitoring Program that lists medications prescribed and how frequently they are being dispensed. The pharmacy students practiced with different prescription-monitoring database scenarios to learn how to identify red flags for opioid misuse. For example, if a patient’s records show multiple visits to doctors or pharmacies, the pharmacist should recognize this as a possible red flag, and contact the prescriber to warn about potential opioid misuse, said Morgan, an associate professor in the VCU School of Pharmacy’s Department of Pharmacotherapy & Outcomes Science who served on a statewide Task Force on Prescription Drug and Heroin Abuse for then-Gov. Terry McAuliffe. Students also practiced calculations needed to safely switch patients from one opioid to another such as from oral administration to intravenous. In a survey conducted at the end of the course, students gave the curriculum changes high marks and said the class gave them the knowledge and confidence needed to care for their patients in the community. “We’re going to continue it. Definitely,” Donohoe said. Additional listed authors for the journal article are Thuy T. Tran, Pharm.D. ; Ph.D. candidate Fawaz M. Alotaibi, Pharm.D. ; and Archana Raghavan, Pharm.D.